Over the weekend my husband and I attended a family conference called Strong Bonds for the Army. The whole point of the training was to teach us ways to build a strong family unit. 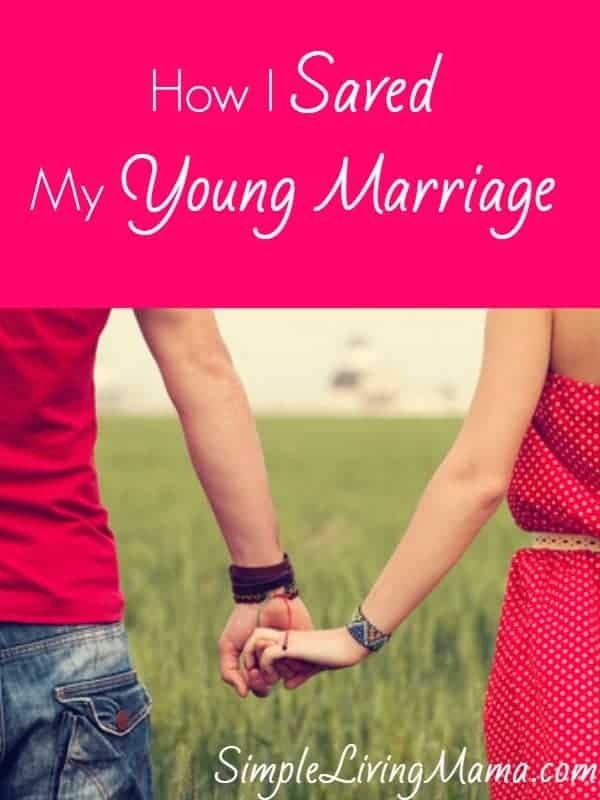 My favorite part of the training was the marriage training. We got to take the 5 Love Languages test. Mr. Simple and I haven’t done that since we were in premarital counseling, so it was definitely interesting. I re-learned his love language, and he learned mine. 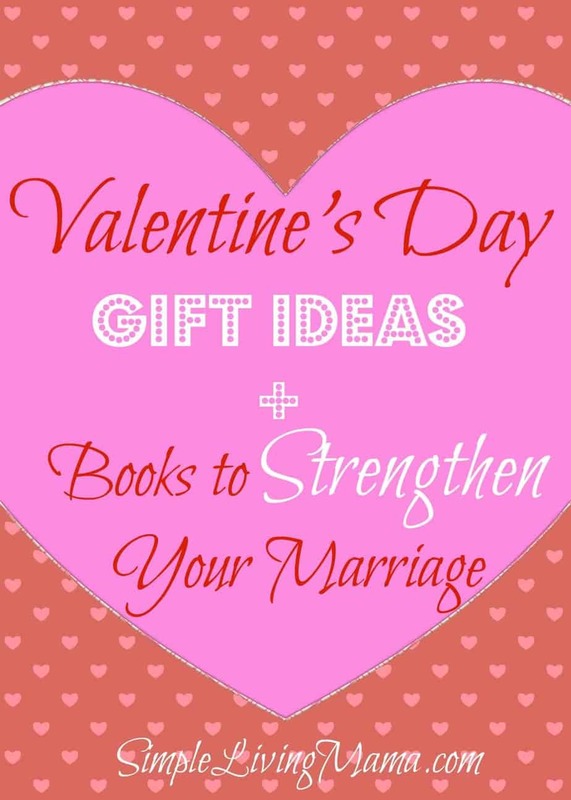 If you know your husband’s love language, you can figure out ways to bless your husband that you may have never thought of before. I’ve been thinking lately about how having young children makes marriage more difficult in some ways. My husband’s primary love language is physical touch. I am not a touchy person to begin with. When you take into consideration our children are with me and in some capacity on me all day, I really have no desire to be touchy. I have to remind myself that sometimes it isn’t always about just me. Since the conference, I have decided to make a conscious effort to find ways to bless my husband. It’s not always easy, especially when I’m exhausted, but I have found just doing one or two things a week really helps my relationship. 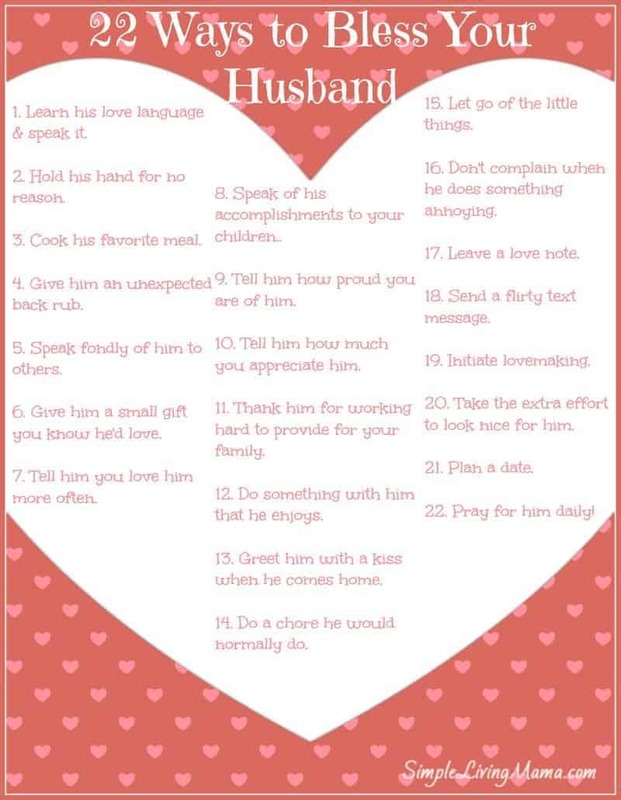 Here are 22 simple, little things you can do to bless your husband. 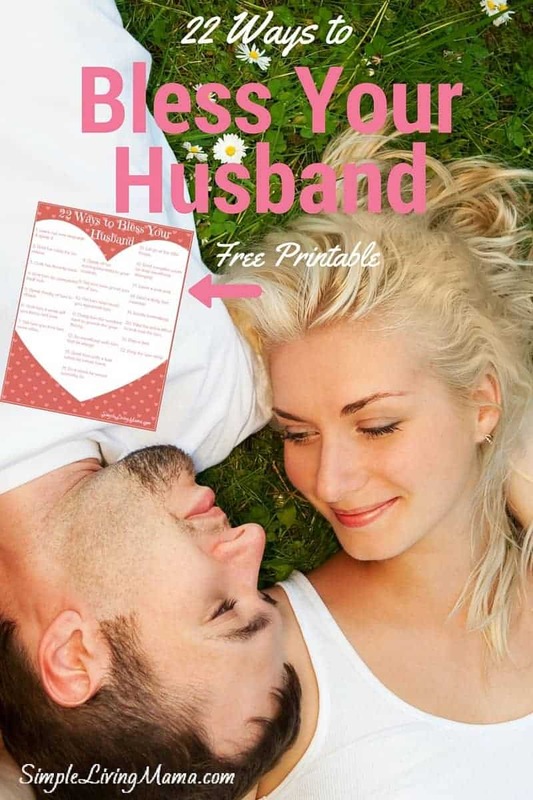 I printed mine out and put it in my homemaking binder. That way if for some reason I have a brain fart I can refer back to it easily. If you would like this printable, just click the image below.